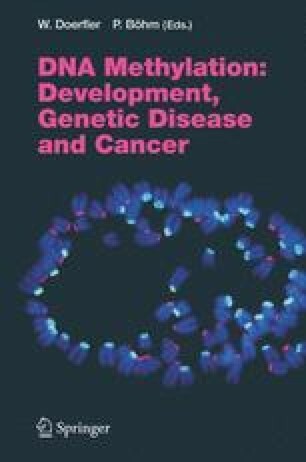 It is not surprising that cancer, a kind of derangement of development, hijacks DNA methylation, which is necessary for normal mammalian embryogenesis. Both decreases and increases in DNA methylation are a frequent characteristic of a wide variety of cancers. There is often more hypomethylation than hypermethylation of DNAduring carcinogenesis, leading to a net decrease in the genomic 5-methylcytosine content. Although the exactmethylation changes between different cancers of the same type are not the same, there are cancer type-specific differences in the frequency of hypermethylation or hypomethylation of certain genomic sequences. These opposite types of DNA methylation changes appear to be mostly independent of one another, although they may arise because of a similar abnormality leading to long-lasting epigenetic instability in cancers. Both tandem and interspersed DNA repeats often exhibit cancer-associated hypomethylation. However, one of these repeated sequences (NBL2) displayed predominant increases in methylation in some ovarian carcinomas and Wilms tumors and decreases in others. Furthermore, decreases and increases in CpG methylation can be interspersed within a small subregion of the 1.4-kb repeat unit of these tandem arrays. While the transcription-silencing role of DNA hypermethylation at promoters of many tumor-suppressor genes is clear, the biological effects of cancer-linked hypomethylation of genomic DNA are less well understood. Evidence suggests that DNA hypomethylation functions in direct or indirect control of transcription and in destabilizing chromosomal integrity. Recent studies of cancer-linked DNA hypomethylation indicate that changes to DNA methylation during tumorigenesis and tumor progression have a previously underestimated plasticity and dynamic nature.